Since 1987 Integrated Metal Products has been manufacturing precision fabricated metal components for original equipment manufacturers, aftermarket manufacturers and engineering firms spanned over a diverse range of industries. Integrated Metal Products is an industry leader with the proven expertise to make your product from initial design, through prototyping, and onto full production. Our world-class, purpose-built facility is equipped with some of the most up-to-date automated manufacturing equipment and technology of any plant in North America. Our advanced manufacturing technologies, state-of-the-art CNC equipment and automated systems enable us to provide flexible and responsive manufacturing for a diverse range of industries. IMP combines administration, engineering, prototyping, production, assembly, quality control and logistics all under one roof. This allows us to provide a seamless customer experience by controlling costs, maximizing production capacity, maintaining quality and ensuring on-time delivery. IMP has a professional management structure to ensure that we continue to be a leader in our industry, employ best business practices, provide long-term stability, meet our community and environmental responsibilities and provide outstanding customer service. 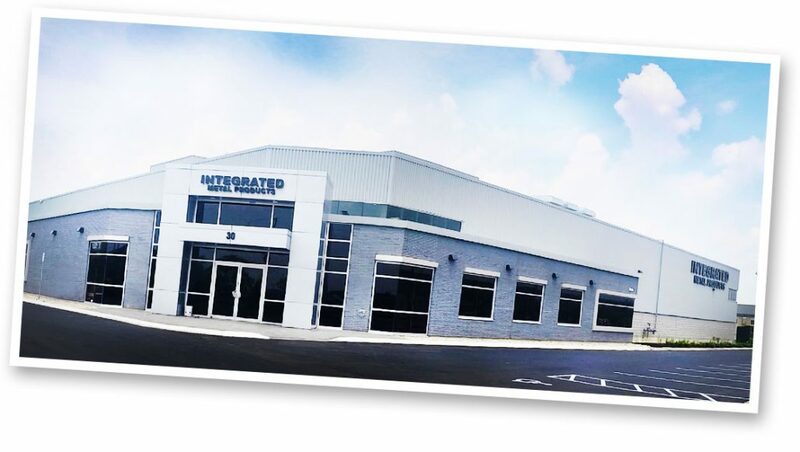 Integrated Metal Products has become a trusted supplier in both batch and high volume manufacturing of complex, high-precision fabricated components from light to heavy gauge in a variety of specified metals. Our partnership with you is built on service. If you need quick delivery, we will respond. If your schedule changes, we will change ours. We understand that our success is solely based on the success of our customers. We have extensive experience in serving a diverse range of industries, including: Specialized industrial, electrical, electronics, tier 2 & 3 automotive, medical, aerospace, food, commercial truck, military, heavy equipment, and off-road vehicles. Integrated Metal Products takes quality assurance very seriously. We are ISO 9001:2015 certified, qualified with the Canadian Welding Bureau, and certified under the Canadian Controlled Goods Program for national defence and security applications.